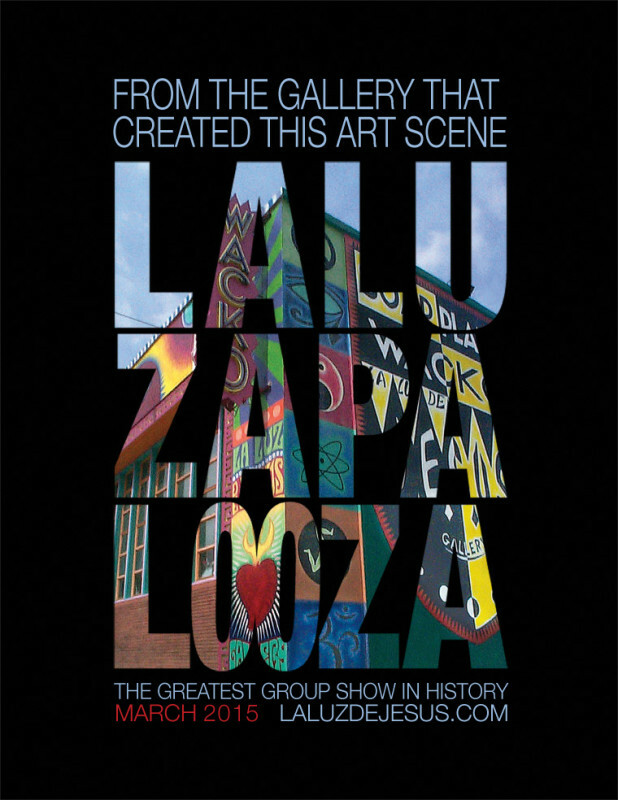 La Luz De Jesus Gallery proudly presents our annual juried group exhibition, LALUZAPALOOZA. This gigantic, no-theme show features works from some of the freshest and most relevant artists working today. Last year we sorted through 16,000 submissions from commercial illustrators, graphic designers, tattooists, scenics, students, street taggers, animators and working gallery artists. How many will we see this year? Past shows have featured as many as 330 pieces and as few as 100, making this the most exclusive selection of tastefully, jam-packed, salon-style exhibited works in Post-Pop. There will be some familiar names from our ever-growing roster of feature artists, but an overwhelming percentage of the work this year will come from a brand new batch of previously undiscovered, emerging talent. Will you be a patron of the next great generation?